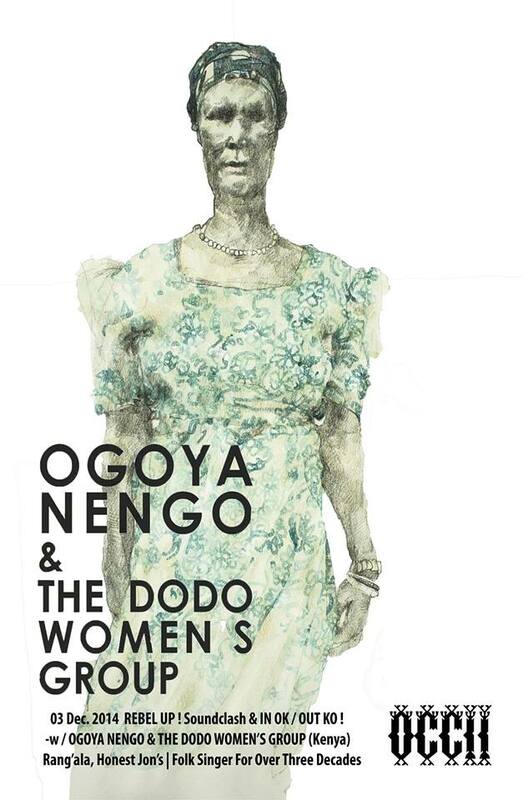 Wed 3 Dec > Ogoya Nengo & Dodo Women group in OCCII, Amsterdam! with Ogoya Nengo & Dodo Women group playing!!!! Ogoya Nengo (in drawing above) is on her 1st tour outside of Kenya. Born in the 1930s in a small village at the shores of Lake Victoria, she soon joined the socially critical Dodo singers, a genre and community which is in danger of vanishing. Ogoya became the rave of her time, singing to great chiefs, warriors and even colonial officers and missionaries. Despite Ogoya being a legendary Kenyan folk artist with a career spanning over three decades little people outside Kenya have had the chance of ever hearing her and her ensemble. Ogoya Nengo’s approach to Dodo, a genre which is in danger of vanishing, is a very personal one: Her music is characterized by her powerful, passionate and compelling voice and is as timeless as it is mystical. Obviously Ogoya is a legendary Kenyan folk artist who has had an immense career spanning over three decades, but due to limited resources her music has remained in her region, and not many outsiders did have the pleasure of hearing her yet. Her album has just been released on the Honest Jon’s label. Rang’ala 4 from Honest Jon’s on Vimeo. see OCCII site for full details or FB event. 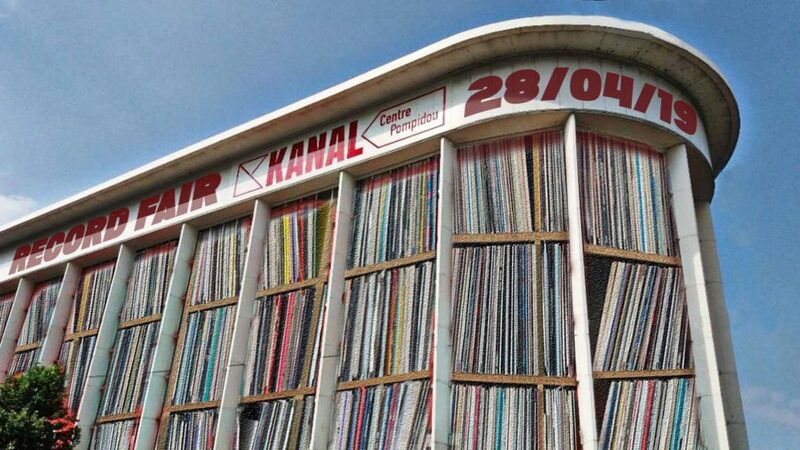 Don’t miss this, see you around! Special midweek fun coming up!!!! King Ayisoba & Band (GH)King is coming back to Brussels, and this time is bringing his band with him! This is the traditional kologo music from the Upper East Region of Ghana brought with the energy and flavor of the 21st century. King Ayisoba sings in Frafra, Twi and in English and is a big star in Ghana. A whole new scene has started after King Ayisoba introduced the super catchy kologo beats to the bigger audiences in Ghana and abroad. The kologo is a two string guitar with a calabash gourd resonator, it is rhythmic and melodic at the same time. 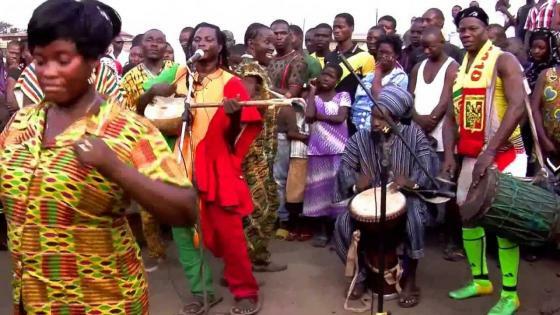 The King is bringing other musicians and dancers on this tour, dancing the traditional Frafra dia and kologo dances from the area of Bongo in Northern Ghana. The dance consists of very high jumbs and originates from hunting rituals. Aboku Adortanga (dancer and dorgo player) is King Ayisoba’s brother and is a master in playing the “Dorgo”, a special horn from Northern Ghana used in the traditional Frafra tradition of music. The sound resembles a lamb calling out loud and was original used by the Frafra people in the forest to gather the village people to come and hunt. Gemeka is an absolute master in playing the guluku, a local drum from Bolgatanga Soko in Northern Ghana. Since a few years the young Dagaati has been part of King Ayisoba’s band. At first he came to the concerts and kept coming and telling Ayisoba he could play Ayisoba’s songs on his xylophone. That was quite unusual, since Dagaati comes from the Dagaati region in upper west in Ghana. But the addition of the xylophone to the kologo, drums and voice works fantastic and Dagaati became a core musician of King Ayisoba’s band and it is already hard to imagine how the band sounded without this very talented young man. Not to be missed! Solo performance from Arnold de Boer (singer of punkband The Ex) deploying guitar and sampler for an almighty bout of high energy songs. Urgent energetic lyrics over guitar, roughshod beats and grimy bass lines. This is fat-free music with no words wasted; joyfully obstinate, wonderfully bonkers. more info, see www.lesateliersclaus.com or check the Facebook event.